This grey cat has an expectant look in its eyes and is already for a stroke. 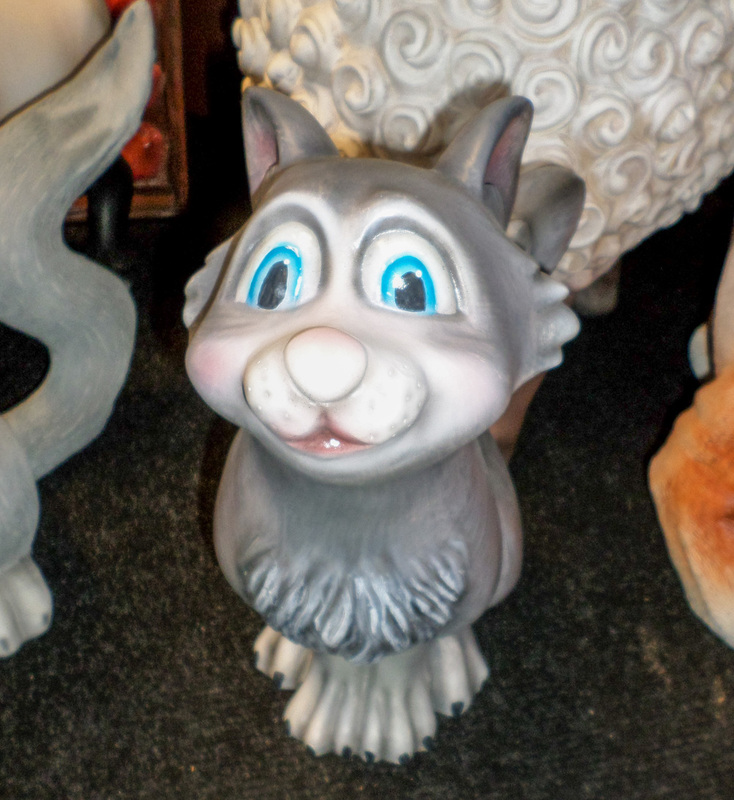 It would look fabulous in a house or farmyard setting. 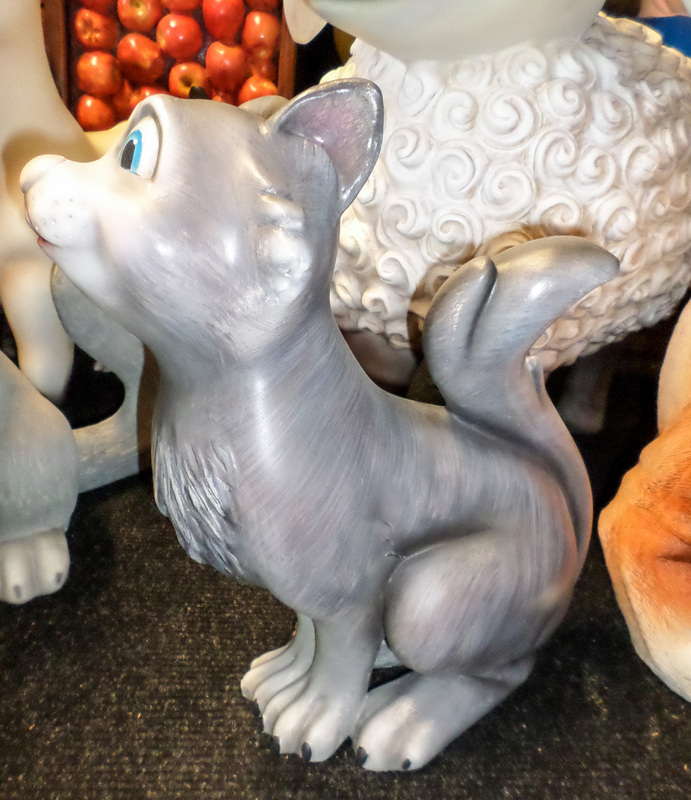 Our resin cat statue has been used by many customers to great effect; from adding interest to a farmyard crazy-golf course to causing a stir in a suburban garden. 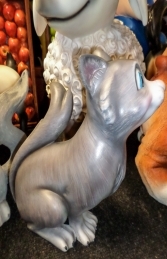 The cat looks really fantastic in combination with our other comical animals. This model can be used in any house setting or farmyard themed areas in adventure golf courses, zoos, theme-parks or to promote shops, businesses, pubs, restaurants, coffee shops. It would even look fabulous in your own home or garden.